R&B. Rhythm and Blues. 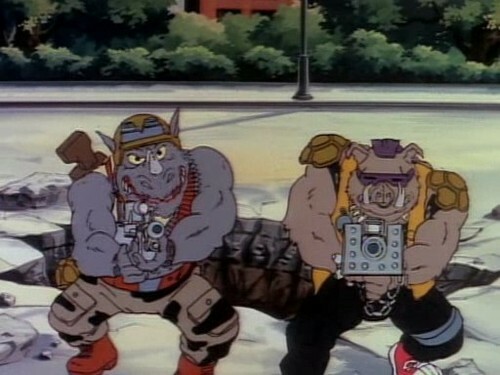 Rocksteady and Bebop. It’s not a genre we’ve seen much on Audiosurf, and I’m not sure why, as it’s become one of the dominant genres in American music. The term definition has shifted a bit over the years, moving from the rock of Bo Diddly and Chuck Berry to its contemporary, poppier iterations – Beyoncé, Alicia Keys, and the late Michael Jackson. It definitely casts a wide net, encompassing a lot of pop descendants of jazz and older blues. Will Hammond Jr. (not seen right) falls squarely inside that net. His website uses the trio of terms “Pop/R&B/Soul,” and they’re all accurate. Guitars strum lightly, basses rumble and bounce, and Hammond’s voice glides effortlessly from phrases to phrase. After the jump, find out if this mélange of genres translates well to the surfing of audio. “Beautiful” kicks off a week of music rarely found crashing on Audiosurf shores. I, however, see no reason why this should be the case. Hammond’s upbeat remix of what surely used to be a low-key track proves that a quality groove can get you just as fair as double-bass drumming or a dance floor air horn. The drums are a little light, but the bass sways like a couple grinding at a party. A little buzzed and tittering in one another’s ears, they move seamlessly and shamelessly. As Hammond coos and croons on the mic, it’s impossible not to envision every hook-up party you’ve ever entered. This is not wedding reception music – unless, of course, it’s not your wedding, and you’ve got your crosshairs trained on a member of the wedding party. Then by all means, convince your newlywed friends to drop the needle on some Hammond so you don’t leave the party jealous of their upcoming honeymoon. Tangential story metaphor aside, “Beautiful” generates a fun track that’s steep yet terraced without being too difficult. Play this song and find out what I mean. Remember that Dave Chappelle skit about how stereotypical instruments drive different ethnicities to act/dance in various ways? Metal guitar incites a riot at a businesspersons luncheon. Dreamy, spacey guitar turns a corporate meeting into a Grateful Dead dance party. A rhythm/bass combo gets everyone in a barbershop grooving while they work. It’s not a mean-spirited skit. It actually kind of celebrates the music to which each culture gravitates. What tied the whole thing together was the presence of John Mayer, who supplied all of the guitar playing. “Your Love” sounds like John Mayer’s jack-of-all-trades musicianship from that skit. It starts with a Latin-y guitar lick, which quickly morphs into John Mayer pop: breathy vocals and smooth, understated guitar over a snappy yet unobtrusive drum beat. It may not be the most direct comparison to make, but I hear more than one shade of Mayer each verse (radio Mayer, not baller guitarist Mayer). The soul influences persist, however. I find them more toward the end, as Hammond layers his voice with greater complexity, singing in a variety of ranges and styles while he speaks in a low register to the target of the lyrics. Think the end of Amos Lee’s “Give It Up” but with a light dose of Barry White-like smooth-talking. Of the three, “Love Affair” presents Hammond at his most electronic and thus most mainstream. The opening backing vocals warble and pan from left to right. Replacing early bass tones are computer generated bloops and blorps – nothing from a chiptune song but closer to the realm of studio-composed hip-hop than the bumping bass of the other tracks. Offsetting the encroaching digital presence are some lovely horn samples that, while of course being no less electronic than anything else on the song, liven things up with bright punches of sound. I could take or leave (alright, mostly leave) the verses because Hammond really sounds like he’s playing for airtime there, emitting the music people think they want to hear. The refrains, however, shine with the same cross-genre brilliance that buoys his other material. Maybe there’s just something about the horn. Even though it’s been recorded and cut into samples, the authenticity of its sound collides with the machine-summoned beat, calling to life an extremely entertaining auditory android of sorts. (“Auditory android?” – even I’m a bit confused by that one). All songs were played at least twice on the Eraser and Pro character. It should be noted that perhaps the closest I’ve come to listening to R&B/Hip-hop on Audiosurf have been Girl Talk and Hercules and Love Affair. Cleary I’m a failure on that front (though I stand by my two picks). Got any recommendations for more surf-friendly R&B? Leave them in the comments. If you read this whole article and you haven’t played Audiosurf, I don’t know what’s wrong with you.